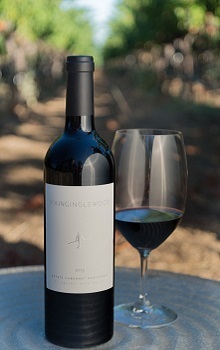 The 2015 Estate Cabernet Sauvignon from Young Inglewood is a delightful wine, full of youthful exuberance. Aromas of cherries, blackcurrants and spiced plums tantalize the nose, while the textured and complex palate combines notes of those fruits plus fennel, herbes de Provence and cracked pepper. The delicately spiced finish leaves the lasting impression of a wine delicious to drink now, but with the structure to age gracefully.